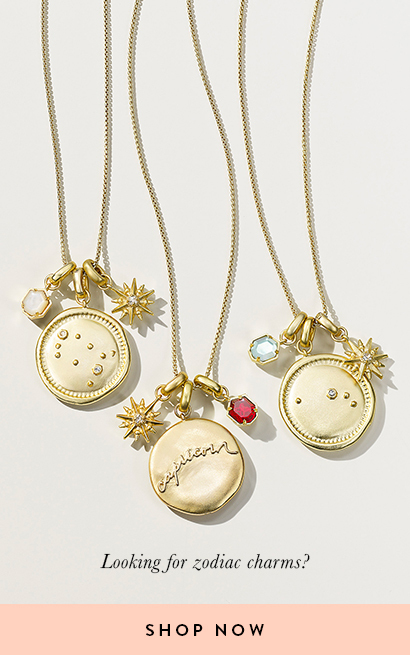 Charms are a meaningful way to tell stories and decorate any necklace or bracelet – and make the perfect gift! 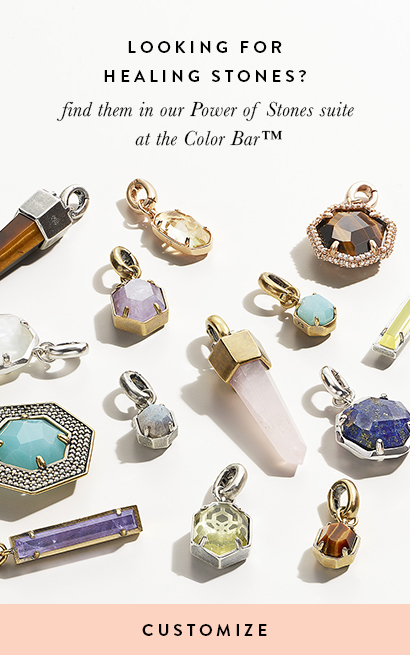 Kendra Scott offers a variety of symbol and gemstone charms in the collection. 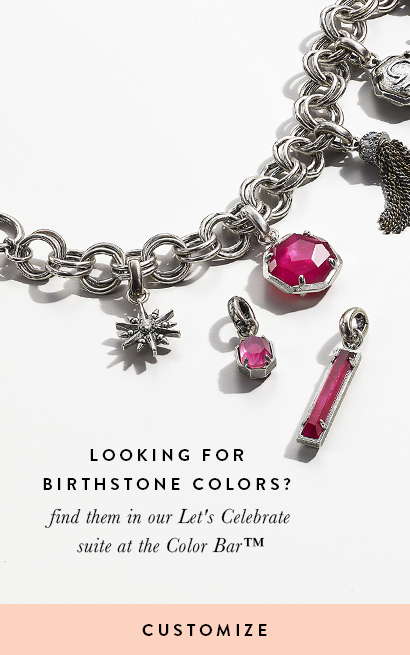 Pair your new charm jewelry with stackable rings in matching metals from the Kendra Scott collection of rings. 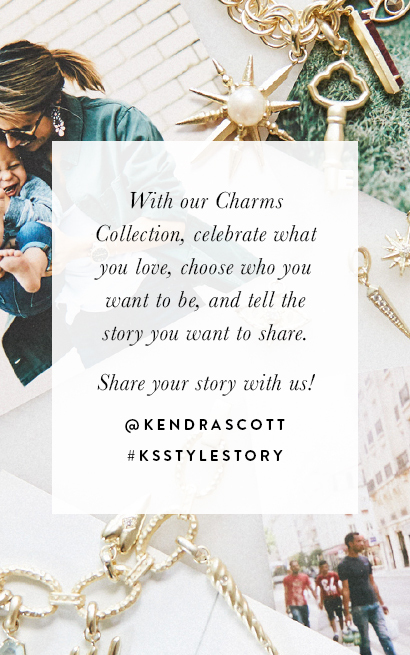 Did you know that a portion of the proceeds from purchasing many of the symbol charms will be donated to charity? 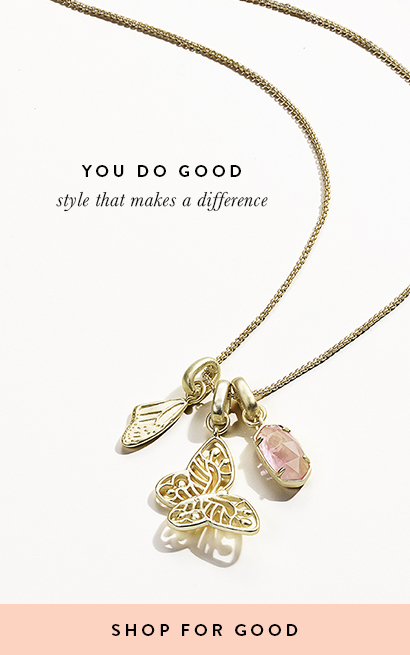 With our charms, you can look good and do good at the same time. 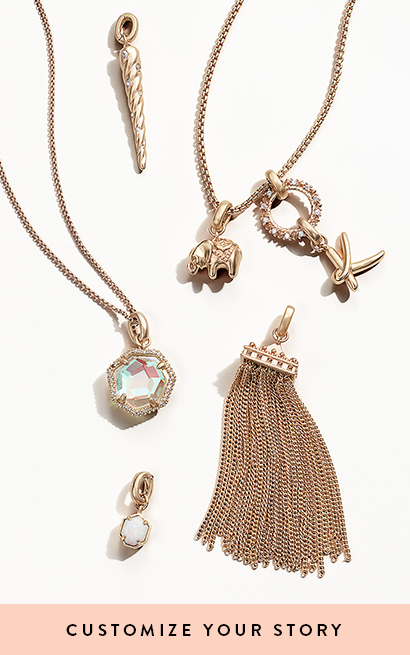 Mix and match Gold charms and Silver charms to create a charm bracelet or necklace that is completely unique to you. Further your look with several stackable rings and your favorite go-to accessories.